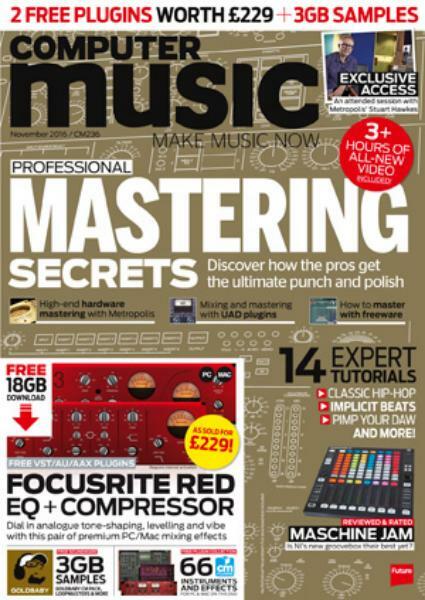 Computer Music Magazine is for all those wannabe music composers and designers who wish to learn how technology can change and affect the quality and tone of the music produced. Buy a single copy or subscription to Computer Music magazine. There are millions of handbooks in the market provided by the company or brand (that makes your PC) and lots of websites and help forums that make your task of composing music on your computers easier. But to get all this information in one place and to make use of specialized bits of tips and advice is the need of the hour and Computer Music is the magazine that offers it all. There are tutorials for every kind of software and accompaniments and you can be assured they are extremely easy to follow. There are also all the reviews you require of the latest products in the market and all the answers you have been waiting to know about the differences between various brands. All the technical aspects that have completely flown past you can be reclaimed from their excellent articles as they employ the best experts at their job. They also have something for everyone, so in case you wish to know more about a Mac’s compatibility or a PC’s properties, you need to get yourself the right literature, starting with Computer Music.